The quintessential foods that every visitor must sample are sangria, a delicious wine punch made with fruit bits, and tapas, traditional Spanish cuisine appetizers. I visited Taller de Tapas upon my hostel’s recommendation to enjoy a lovely tapas and sangria meal and enjoyed it very much. Visit this restaurant in small groups or be prepared to wait, as wait times for larger groups can be long at this hotspot. Don’t fear coming alone (I did), you will still receive excellent service. 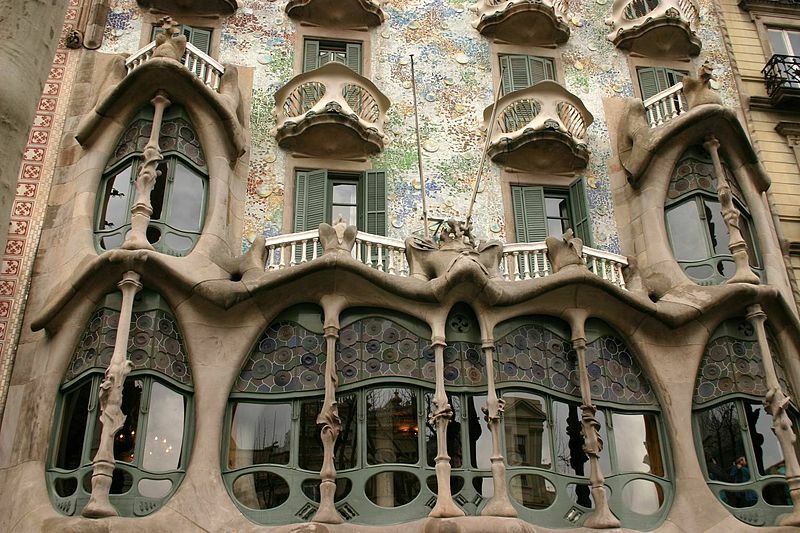 Something that Barcelona is known for is being the home of many of Antoni Gaudí’s architectural masterpieces. His top creations include the buildings of Casa Batlló and La Pedrera, the whimsical and enchanting Park Güell and his crowning achievement, Sagrada Família. Visiting these UNESCO World Heritage sites should not be missed. If you’re keen on people watching, head down to Barceloneta beach. Barceloneta is known for its sandy beach and vibrant boardwalk where visitors can find plenty of evening entertainment options. Additionally, when visiting these great sites, take a stroll down La Rambla, one of the city’s main thoroughfares. It connects Plaça de Cataluyna with the waterfront’s Christopher Columbus monument. This street has an abundance of cultural, dining and entertainment options. Definitely something to satisfy all five senses. Never keep valuables in a pocket of your bag that can be easily accessed by pickpockets. I carried my valuables in a small hidden pocket of my bag. Travel with a copy of important documents such as your passport and visa, safely tucked away in an area separate from the originals. I wish you exciting travels!